The One Ring Forums: Tolkien Topics: Reading Room: Anybody care to share an opinion on Scull & Hammond's latest? Anybody care to share an opinion on Scull & Hammond's latest? 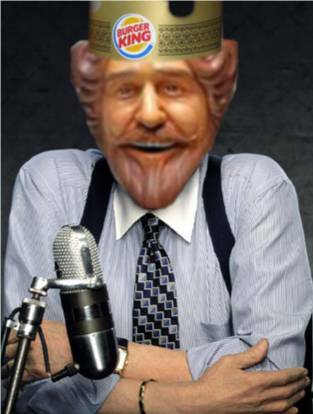 I would love to know what anybody thinks of the newish "J.R.R. Tolkien Companion And Guide". I have them and have thoughts about them, but would love to know what others think. If we live in trying times, we must be the ones who try. If the future is looking dark, we must be the ones who shine. ...purchasing Hammond and Scull's Companion and Guide, so I am very much interested in hearing any and all opinions as well. Review on! ... but the little I did get to see, I liked. It's great to have all that wealth of information at one's fingertips. No no, now you know we want you to tell us what you think, too! Please do come back and share it. Anyway, I have them and love them so far, but have only just skimmed through looking for "interesting stuff"...whatever catches my eye. I have used them once in the RR (can't remember, think it was something about immortality) as a "reference" or (dare I say) encyclopedia. I haven't read them straight through, the way I did their LOTR "Reader's Companion", which was more like a concordance in some respects, and was interesting to read from cover to cover if you are an avid LOTR fan and are very familiar with the books. But in the Tolkien Companion there are lots of interesting topics covered, and for such a small space the entries seem very comprehensive with many references to correspondence and journal articles not commonly available, etc. I don't know how useful they will be to a general reader, but I think they will prove useful to anyone interested in sources, influences, and the author's own insights, etc. I haven't gotten the new Tolkien encyclopedia ed. by Michael Drout and to which many Torn members contributed; it's out of my price range right now and Scull and Hammond seem to be filling that niche for me, at least at this point in time. I'm not a Tolkien scholar but am more than a casual reader. Somewhere in between. S&H seems an interesting and useful tool for a reader like me. Strength in what remains behind. I find the new Scull & Hammond pair to be wonderful. The timeline of Tolkien's life is personally less interesting to me, but just going to the section on what Tolkien read was wonderful. Summarizing so much information - just fantastic. Not much time to post now. I only see some minor flaws in books as for now (my point of view). First I only see Tolkien's bright side and he is alwaysed described from his nicest angle. While there are many questions about Tolkien as a teacher, to make an example. I do not find anything on these minor points. It is truly made by fans, but it makes me question the objectivity of the book. At the other hand we all now that the authors have the Tolkien Estate looking over there shoulders and it is possible that the latter are of influence in this... Humphrey Carpenter also ran into trouble because of this. Secondly I miss some references to other books which are not in English. For example when mentioning photographs of Tolkien with Simonne D'Ardenne there is only mentioned The Tolkien Family Album, while I know the Johan Vanhecke has some more in his book; why not mention this also - there are some unusual photos in there but is in Dutch. Is this the way all documents are treated? Ok, i'm overacting maybe and expecting too much after waiting so many years for this bookset. For the rest i'm very happy and can only cheer! The book is truly the ultimate resource. I'm happy that the authors when not having absolute answers (for example how the Hobbit started, how the document made it to the printers); we then get all possible solutions and suggestions. At first I expected to receive all answers in this book. But now appreciate it very much that all possibilities are set one next to the other without choosing paths. It leaves us with questions, but it is better and more objectif (or shall i say scientific). The book is full of details and the research for this book must have been enormous. You can feel it when reading through the two volumes. Sometimes it is a day by day guide of Tolkien, sometimes it is a long list of possibilities, sometimes it gives very detailled info on a variety of topics, sometimes it is even very funny and makes you laugh or feel sad. If a scientific book can still move the reader then I would say the authors have succeeded to put the live of a person on paper! Welcome Beren, and thanks for that review. I'm looking forward to getting the book myself, as many people have said it is superior in organization and consistency to its "rival", the JRR Tolkien Encyclopedia. It's interesting that you perceive it as showing only Tolkien's "bright side" - that is a question that I supposed will only be settled when a few more decades pass. It's also interesting that you are familiar with valuable Tolkien source material that is not in English - I wish more people in the international Tolkien community were able to share their resources across the language barrier like you are. Footeramas: The 3rd TORn Reading Room LotR Discussion; and "Tolkien would have LOVED it!" And thanks for that very informed review. Tolkien Illustrated! Jan. 29-May 20: Visit the Reading Room to discuss art by John Howe, Alan Lee, Ted Nasmith and others, including Tolkien himself. it is superior in organization and consistency to its "rival", the JRR Tolkien Encyclopedia. Umm, what I meant to say was: Welcome! And thanks for the book recommendation. My library just got it in a few days ago; it's not on the shelf yet, but I'll be sure to check it out soon. Welcome to the boards and thanks for that fine contribution. My hat is off to you for reading the whole chronology. I am impressed. In general the Reader's Guide entries are more concise than those in the [E]... not to say that entries are necessarily, or even often, shorter... for example, the [E] has a two-page entry on "Marriage", and another of a page and a half on "Women in Tolkien's Works", while the [RG] has a single entry of 16 pages on "Women and marriage" which sets out far more comprehensively not only the story of Edith and Tolkien, and Tolkien's female characters (including Erendis, omitted from the [E] entries), but his expressed, and conflicting, attitudes to women, marriage, divorce and related topics. Also, very often there are long entries in the [RG] to subjects only briefly mentioned in the [E] with no separate entries, such as the Notion Papers and Numenor. Unlike the [E], the [RG] remains very much on-topic; also, whereas the [E] tends towards the broad sweep, the [RG] gets down far more often to minute particulars. And these particulars are also highly precise... The only real problem I have with the [RG] is the lack of any top-of-page headings, which, especially given the fact that many of the entries (eg. Oxford) have sub-headings also in alphabetical order, without sufficient distinction of typeface, can be irritatingly confusing when trying to find your way around. But then there is the Chronology! This is quite unlike anything that has been published before... The [E] tends to deal in more academic terms; universities and those working in them would certainly want it. However, the [RG] also covers a great deal of academically useful ground, often in greater detail, and is probably even better for the general reader." I highly concur with the unbelievable difficulty in finding things within the RG! You better be looking for something specific, and have time enough to flip through dozens of pages at a time with no clue as to where you are. Other than that, the information does seem to be better. But they are very much like Foster & Tyler, as well as Fonstad & Strachey - consulting them both will ensure a complete picture! I was just working on a post in which I had written, "To my knowledge, the Encyclopedia hasn't been reviewed in print yet". My knowledge is now different. Having both the RG and the E come out in the fall was a sad case of publishing happenstance, but regrettable in some ways nonetheless. If the E had come out earlier (as it was originally planned), then it would not have been a work to be compared point-for-point with the RG, and perhaps it would have been a better book. Hammond and Scull had their own travails (as their having to post a TOC on their website testifies! ), but they managed to create a meticulously researched, highly detailed reference work. I hope both the E and the RG will be read alongside each other in the future. Their different focus and spin even on the same topics is interesting. reviewed the Encyclopedia for the Times Literary Supplement: "Where's what, Gollum?" 22 Dec 2006. He was favorable, according to my source, but to read the review one has to subscribe to the TLS Online. carries the TLS --that was a nice discovery when I was searching for Tom Shippey's 1981 review of The Letters of J.R.R. Tolkien-- and I may be able to swing by on Saturday. It's interesting the TLS would let Garth review the Encyclopedia, as he is a (valuable) contributor to that book. Tolkien encyclopedias have been around for years. The kind of books which might refresh your knowledge of the Gondorian kin-strife or the geography of the Shire, they were intended for those fascinated by the teeming detail of Tolkien's imagined world, not for those seeking to understand his work as literature, let alone for those perplexed by his success. 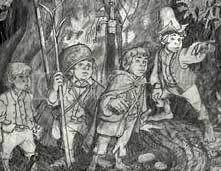 The phenomenon reflected a tendency which only began to recede with the publication of Tom Shippey's study The Road to Middle-earth in 1982. With the same eagerness that enthusiasts staked their claim to Tolkien, literary criticism had spurned him. Now, as a sign of the coming of age of Tolkien studies, we have two works of reference which attempt to breach the old barriers. One compiles the work of 128 contributors, the other is written by two authors; each publication exemplifies the benefits and disadvantages of these modes of production. The J. R. R. Tolkien Encyclopedia seethes with insight and opinion. It benefits greatly from articles by acknowledged experts, such as Shippey himself, and Verlyn Flieger, the author of Splintered Light: Logos and Language in Tolkien's World (revised edition 2002). The guiding hand of Michael Drout, an Anglo- Saxonist, is evident in the high proportion of medieval entries, which further emphasizes both Tolkien's contribution to English philology and English philology's contribution to Tolkien. There are valuable articles on the medieval cultures, languages and philosophies familiar to Tolkien but not to most readers. What might have surprised the old professor is the use made of critical theory: race and gender studies, subject theory and semiotics, textuality and orality. In between, among much else, are discussions of translations, fandom and film. All this is worthwhile: the more Tolkien's success baffles the sceptics, the more it demands serious examination. Less welcome are descriptions of fictitious characters, places and totems whose sole frame of reference is Middle-earth, as if such entries had strayed in from the old-style Tolkien encyclopedias. The admirable articles on Gollum and Gandalf, which probe literary technique and mythical parallels, ought to have served as models for the rest. It is to be hoped that a revised edition, whether printed or digital, might streamline the entries and iron out the distracting errors and overlaps. Like the J. R. R. Tolkien Encyclopedia, the Reader's Guide volume of The J. R. R. Tolkien Companion and Guide lists people and places of significance to Tolkien. But it is much more thorough: every faculty colleague at Leeds and Oxford appears; every available work, down to the shortest individually published poem, receives a summary and (where possible) a textual and critical history. The Silmarillion, compiled by Christopher Tolkien from a complex of texts, is wisely treated in discrete sections by chapter. The Reader's Guide bears no resemblance to the old-style Middle-earth encyclopedias; its focus is on biographical, bibliographical and textual matters. 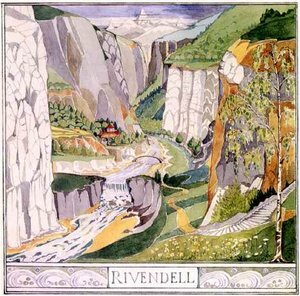 This methodical thoroughness is only to be expected from Christina Scull and Wayne G. Hammond, who wrote the standard guide to Tolkien's visual art and last year produced a Reader's Companion to The Lord of the Rings. However, the handling of themes and critical issues here is less ambitious than in the J. R. R. Tolkien Encyclopedia. It is also easy to lose one's way in the Reader's Guide, which would have benefited from headwords on each page as well as a thematic list of entries, or even division into a "Who's Who", a "Where's Where" and so forth. Scull and Hammond draw on some of the family papers previously seen only by Tolkien's authorized biographer Humphrey Carpenter, and they also gather much information from more dispersed material; so it is a pity that they have not methodically provided source notes. For anyone examining Tolkien's life, their 800-page timeline should prove invaluable. No biographer now should have any excuse for regurgitating (as too many have done) Carpenter's venerable but slight biography of 1977. It is tempting to call these impressive works of reference definitive, but that would miss the point. The mapping of a complex critical and contextual landscape by Michael Drout's team, and Christina Scull and Wayne Hammond's generous dispensation of biographical and textual apparatus, should facilitate further exploration of Tolkien as a writer, not make it unnecessary. I spent about an hour yesterday struggling to get the wretched thing to open through our library's subsciption. No luck. That's certainly the most positive review I've yet seen, despite being aware of flaws in the encyclopedia. It's quite nice that it appears in a mainstream rather than a Tolkien publication. Although I expect the non-Tolkien audience are probably a bit less obsessively fussy about all of this.